Inside the city, just west of the Nocera Gate, is the so called 'Garden of the Fugitives' where a number of bodies were found during excavations. Judging by the plaster casts they would seem to be a family group. 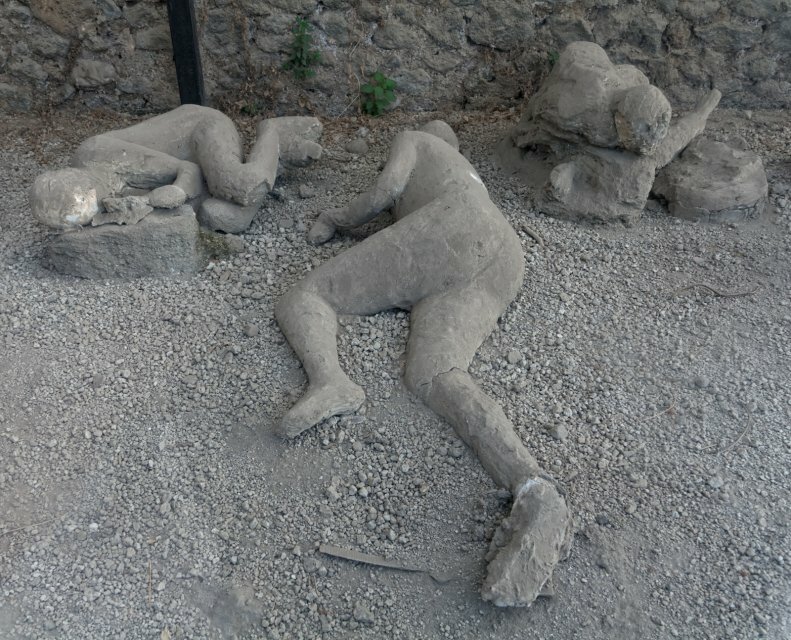 They were probably trying to flee the city when they were overcome by the sixth and final pyroclastic surge which swept through Pompeii at about 8am on the morning of the 25th of August.